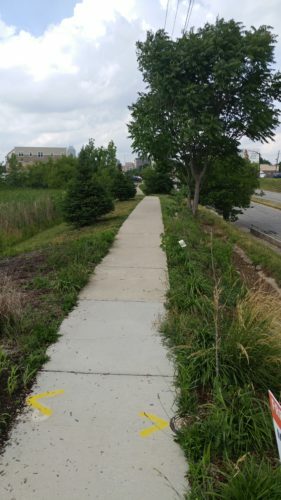 This is the third post in a series on sidewalks or pathways that exist in places where no car traffic can travel. Parts I and II can be found here and here. 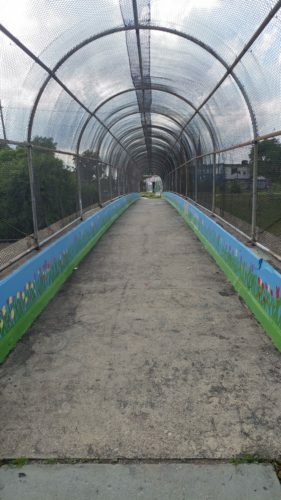 The other side of the bridge has an actual sidewalk, which connects to the Driver’s Licence Branch. 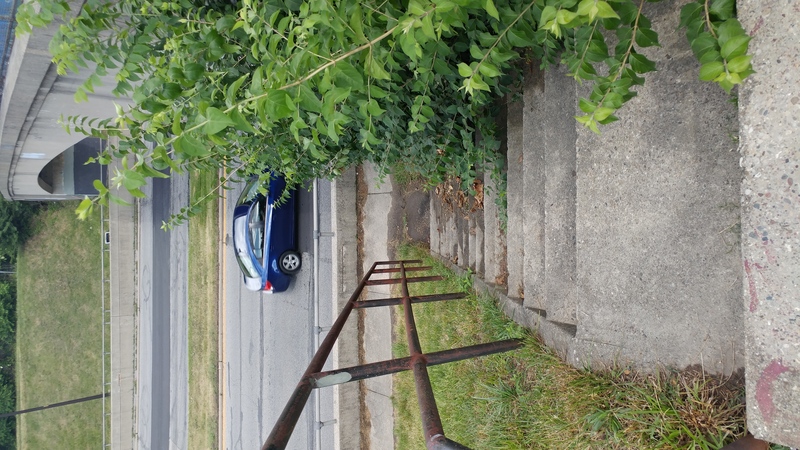 And each side has an old stairwell that connects to Madison Avenue, just in case you happen to walk on this portion of the street that is heavily car-centric. This is the one on the Palmer Street side. I was here the other day, good sunsets from this spot plus you can see down madison and the graffiti/murals all over the two semi vacant buildings west of madison and the one east are really interesting. 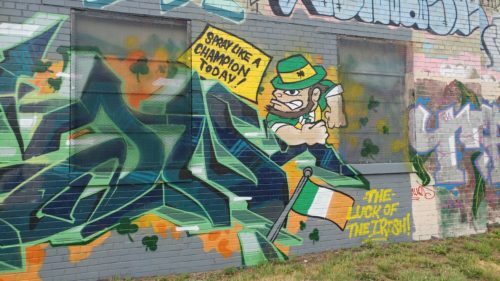 the instagram account indy.streetart has decent pics of it. 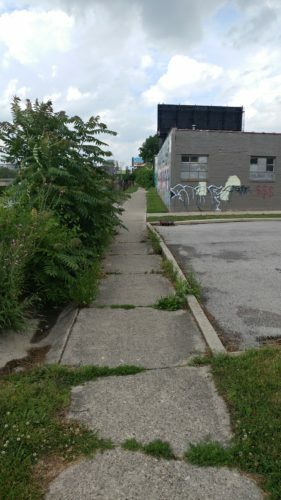 There’s another forgotten sidewalk up at madison and morris in that mess of an intersection, they have randomly ending sidewalks and then one that goes under the bridge similar to your precarious palmer image, only more elevated. There’s a cowpath people have made at the end of lasalle st (double digit block off washington) that crosses the railroad and starts up again on the other side. informal. mostly because you’d have to walk all the way to rural or sherman to get to the other side. That curb-adjacent Madison sidewalk has always made me shake my head. I guess it has to be there to deal with cars breaking down, but why there isn’t one at the top where the people actually are mystifies me. I’ve recently incorporated the pedestrian bridge over I-65 northwest of downtown into my personal detour around the Canal Towpath closure. I’ll be interested to see if that one makes your list. It’s fine approaching from 35th street, but I nearly need a machete to get through on the south side. 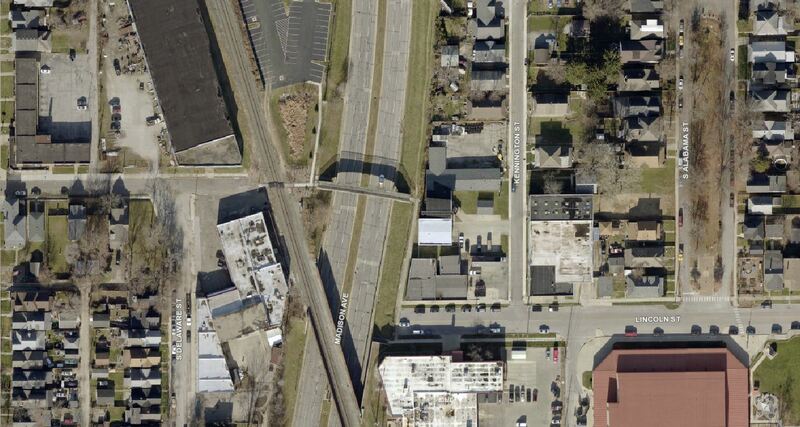 From Google Maps, it appears that the bridge has been there since the time the highway was built or shortly thereafter. It would be interesting to know how they decided where to put these. I don’t see a school in proximity to the I-65 footbridge, but my guess is that it exists to allow those north of the new highway to access Riverside Park. 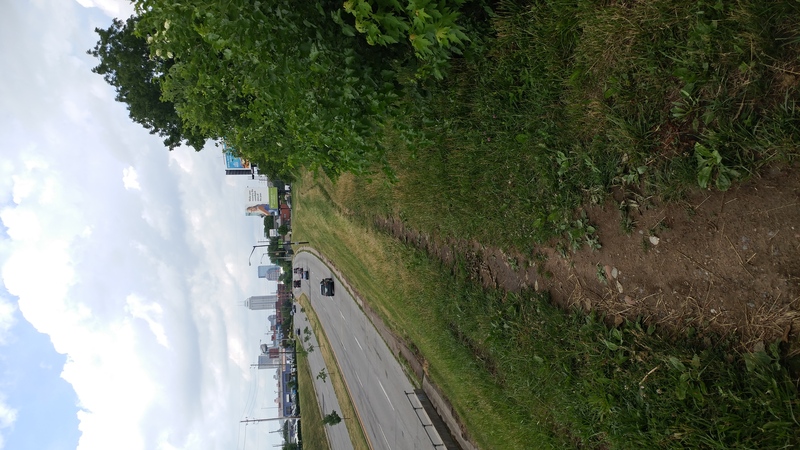 Until this morning, I had never noticed that there is a sidewalk that goes under the highway at 24th Street. That treacherous looking underpass presumably exists because of IPS School 87 just west of the highway. Can you give some details on your detour. We ended up going up to Cold Creek and down Michigan with two 9 year olds on bikes. It was not fun. Sure. From Broad Ripple southwest, I leave the canal path at Holcomb Gardens and go south through the Butler campus to Clarendon. 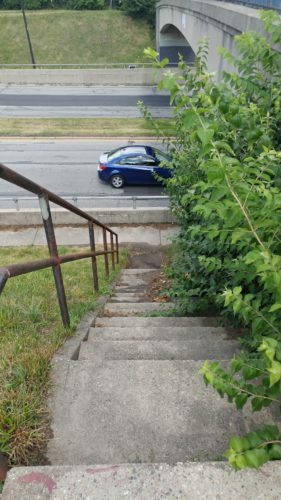 I take Clarendon (which is way wider than needed to accommodate two lanes) south to the Crown Hill funeral home and take a right into the cemetery and take the underpass under 38th Street. I wind through Crown Hill to the main gate on Boulevard and go south to 32nd (the stretch on Boulevard would be the trickiest with 9 year olds, but there is a sidewalk on the east side of the street) and then take a right on 32nd along the south edge of Crown Hill. 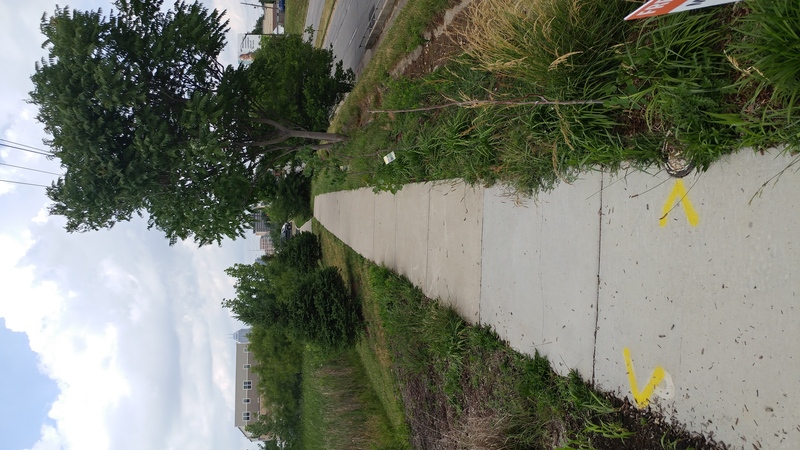 32nd dead ends before MLK, but you can get through the grass to a block long sidewalk on the east side of MLK. The sidewalk ends at 33rd, so I cross there (no median, so you might have to wait a while) and go west on 33rd to Clifton. I turn right on Clifton, take it to 35th, and then go west on 35th until it dead ends. The pedestrian bridge is on the left. 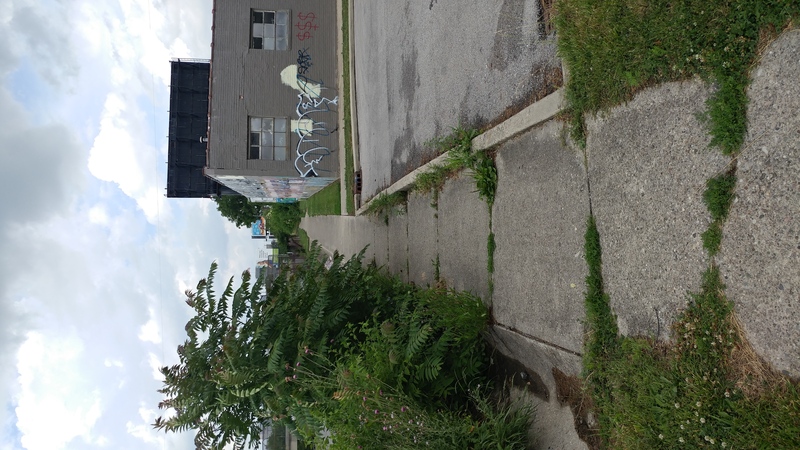 As noted, the other side of the bridge is overgrown, but turn right at the end of the bridge and go along the sidewalk for about a block until you hit Harding Street. Go south on Harding and in a few blocks you’ll hit the 30th street bike track. The Madison Avenue Expressway project (1954-1958) cut off numerous cross-streets to create a two-mile stretch of limited-access six-lane highway along what was then then U.S. Route 31 between Prospect Street and Pleasant Run Parkway. In 1953, south side residents protested the plan’s lack of a pedestrian crossing on the stretch between Terrace Avenue and Raymond Street, where elementary school children would have no safe way to cross the expressway to get to schools on either side. The project consumed about 200 parcels (on the east side north of the railroad viaduct and on the west side south of the viaduct), displacing many residents and businesses from what had been a busy south side corridor similar in character to the parallel stretch of East Street. In an associated project completed between 1957-1959, the blocks between Prospect and Morris Street from the railroad viaduct east of Madison Avenue to the alley west of East Street were demolished and a sunken expressway interchange was created to connect the Madison Avenue Expressway to Virginia Avenue at Fountain Square via Prospect and Morris Streets. 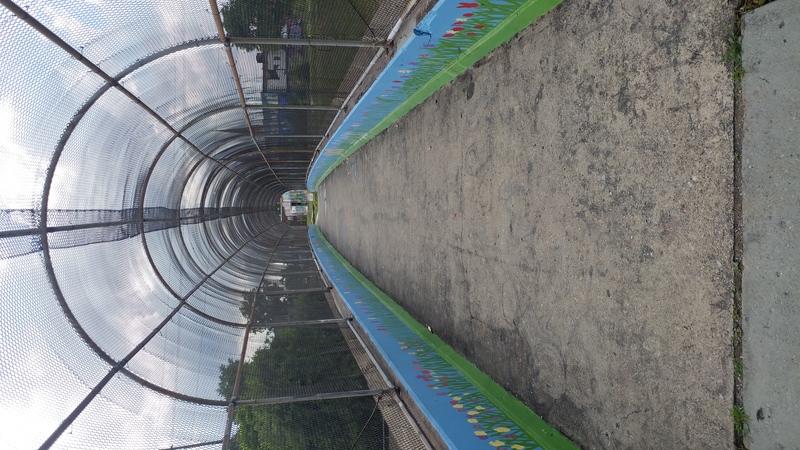 This interchange includes an under-the-bridge cantilevered pedestrian walkway below Madison Avenue, somewhat improved by the addition of a mural several years ago. 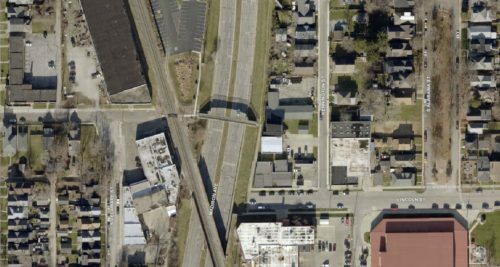 These projects foreshadowed the use of eminent domain for large-scale displacement that would characterize the construction of the interstates through Indianapolis in the 1960s and early-1970s. 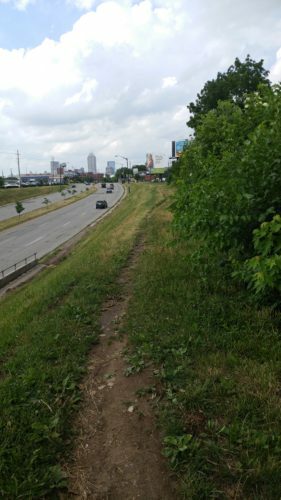 They also showcase a general disregard for providing safe local access across the expressway corridor, since the highway designers were focused solely on moving automobile through-traffic, giving little consideration to the project’s effects on the surrounding neighborhoods. Just a side note: it is often assumed or implied that urban expressways disparately impacted communities of color. In Indianapolis that was not the case; we had equal opportunity displacement here.